Disney Wedding- Finding The Perfect Disney Wedding Dress! I warned you, after we announced our engagement, that you should prepare for lots of wedding articles and information. I am starting already. Chip (Chipandco) and I are super excited to start planning our wedding but this is the part I get to do on my own… without him. We all know that finding the wedding dress is the most important part of the wedding. It sets the tone for everything! Theming, colors, decor… I could go on (and I will). I am going to discuss with you how to find your Disney wedding dress for your Disney wedding (and still keep my choice hush hush from Chip). I am sure many of you are thinking the answer to this question is easy. Disney wedding equals Disney wedding dress from Alfred Angelo. Is it really that simple? I went for my first dress shopping experience with my mother this past week and it was definitely not that simple. Alfred Angelo makes some killer wedding dresses. It is the truth. I definitely have my favorites and I have tried them on. I may even have my choice of the current dresses narrowed down to just one dress. 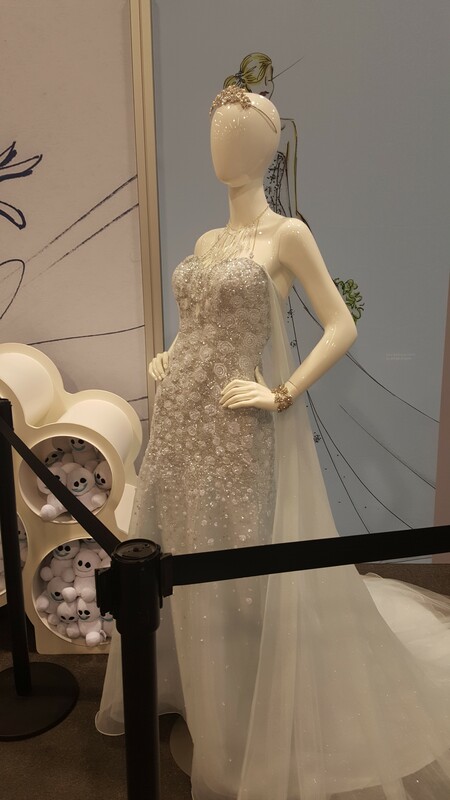 The thing is, does the dress have to be made by the official Disney bridal collection OR can you choose a wedding gown that is based more around the Disney theme you are dying have? This is the grand dilemma. I have decided this can go either way. Let me explain. The Disney wedding gown I have chosen thus far is stunning… it is a deluxe gown. I will go as far as to tell you that it is a color. I am not exactly what you would call someone who looks good in white or ivory. I am a very fair skinned redhead, after all. The Alfred Angelo Disney Collection has options for people like me. Each dress comes in the traditional bridal color of white and/or ivory AND another color. 1 color for each specific style. 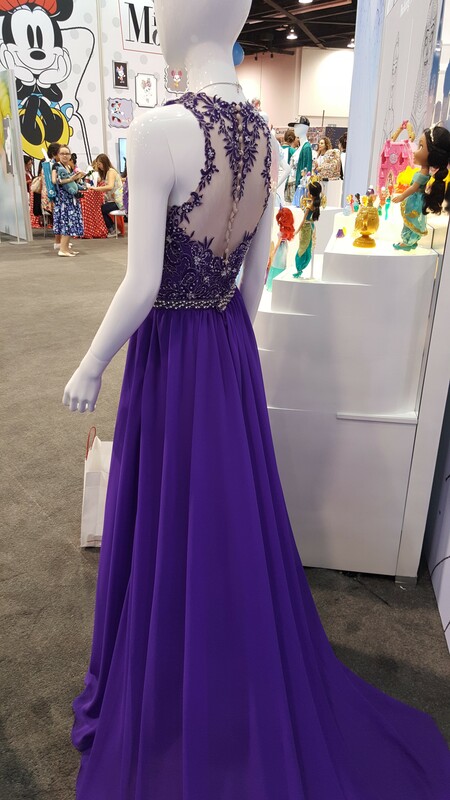 After trying on all the dresses I enjoyed, the color of the dress I have chosen, though stunning, does not work with the original colors I wanted to use, nor the decor. I found a couture gown that took my breath away. It is not white or ivory. It is affordable (as are the Alfred Angelo gowns). It looks like it was made for the theme of my wedding AND it would accent the colors I had originally picked. This is one of the hardest decisions I have had to make thus far. I am sure you are all thinking, “You just got engaged! How many decisions have you had to make? !” We have been talking about this for over 8 months… the planning started a long time ago for me. I am going to be Disney Wedding’s dream. I know what I want when I walk in for my first consultation! The Disneyweddings website and I have been friends for a while. What’s a bride to do?? Finding the perfect Disney wedding dress for your Disney wedding is not as easy as I thought but it can be done. I think it all boils down to planning. Have a number one choice of theming and colors, also have a backup plan that you can live with happily just in case the dress of your dreams doesn’t fit with scenario number one. I didn’t expect to find that couture gown but I did and it definitely threw a wrench in my perfectly laid out plan. Bottom line is, as long as the dress makes you feel like a Disney princess and will help make your happily ever after moment, one that you have always dreamed, about then you go with that… and work the rest around it if you have to. What do you think I should do? I am looking for the advice of my fellow fashionistas! Does the Disney Fashionista need to wear an Alfred Angelo Disney bridal gown or can I wear a beautiful couture gown that fits the Disney theme I want perfectly? Let us know your thoughts in the comment box below! I feel like there is more to a Disney dress then just the designer name. 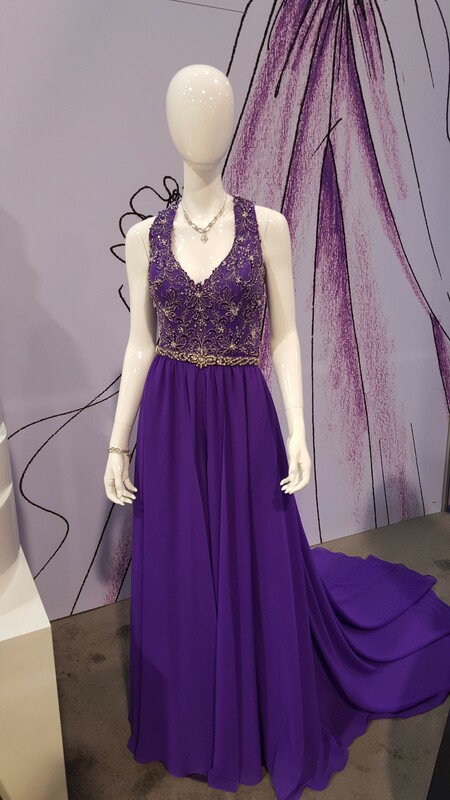 Go with the dress that you love and will help you have the wedding of your dreams! Forget the label, who designed it, and all the stuff that won’t matter in years when you look at those pictures. Just make sure it makes you feel beautiful and helps your wedding be even more beautiful! Get the dress you love and plan with that in mind. It doesn’t matter if it doesn’t have a Disney logo on it somewhere, you’ll still feel like a princess and you can incorporated Disney in so many other ways!! This is not a huge dilemma. You do not where what “others expect”. Wear what takes your breathe away. Get the dress that makes you feel like a Disney Princess. It doesn’t have to be a Disney Wedding Dress.